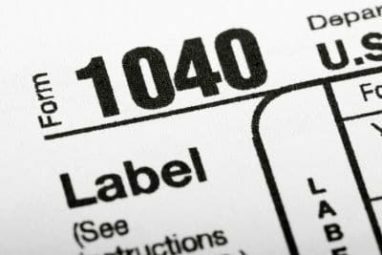 Jan. 23 is the official start of the 2017 tax season. You’ve probably already started receiving your tax documents, but today is the first day your returns will be accepted by the IRS. If you are among the 80 percent of taxpayers who e-files their return, you can submit your return before the season opens, but it won’t officially be accepted until Jan 23. Dealing with money, deadlines, complex tax laws and disorganization is enough to stress anyone out. That may be part of the reason one out of every seven taxpayers waits until the last week to file their taxes. However, if you get ready now you can finish your taxes in no time and avoid the stress that comes with filing last minute. The tax deadline is actually Tuesday, April 18, not the 15th. This is due to the 15th falling on a Saturday and Emancipation Day, a holiday in D.C., falling on that Monday. Those who expect a refund for the Earned Income Tax Credit or the Additional Child Tax Credit may see delays if they file early. This year, a new law requires the IRS to double check the information tied to those credits and hold off on issuing these returns until Feb. 15. This law aims to reduce fraud. As an effort to reduce identity theft, the IRS may require taxpayers who plan to start preparing their own taxes on software for the first time this year to verify their Adjusted Gross Income from last year’s tax return. If you’re switching tax software this year or using it for the first time, start researching your options now and make an account. If you plan to go to a tax preparer, stay on top of things by making an appointment now. Even if you’re filing your taxes online, it helps to set a day and time that you will sit down and complete your taxes. Without making – and sticking to – an appointment with yourself, it’s much easier to procrastinate. Whether you file online from the comfort of your own home or go in to a brick and mortar tax preparer, you’ll feel better if you get organized ahead of time. When tax documents arrive in the mail, put them all in one folder so you don’t have to go searching when you sit down to do your taxes. If you have someone prepare your taxes for you, it’s also helpful to have your social security number on hand as well as those of dependents or spouse. Save your receipts, mileage records, records from donations to charity and other tax deductible documents in the same place. Chances are, there are a few tax deductions you didn’t know you were eligible for. The miles you drive for volunteer purposes, interest you pay on student loans or mortgages, or alimony payments may all be tax deductible for you. Be sure to check out our infographic on ten of the most commonly-overlooked deductions you may be able to claim. If you don’t have anything you can deduct from your taxes this year, you can make next year’s tax season a little better by donating a car now. Donating your car to Wheels For Wishes now will give you a deduction on your 2017 taxes. Since we are a 501(c)(3) nonprofit organization, your donation to us is completely tax deductible. Best of all, your donation benefits Make-A-Wish! Wheels For Wishes will pick up your car from almost anywhere in the U.S., all at no cost to you. Donate your car today by calling us at 1-877-431-9474 or using our online car donation form.